Chardham Yatra by helicopter starts from Dehradun. Meet our tour representative at Sahastradhara helipad at Dehradun. Departure for Harsil helipad (the base for Gangotri) will be latest by 07:00 AM and the flying time is approximately 35 to 40 minutes. On de-boarding your helicopter have a wholesome breakfast. Later, proceed for a visit to Gangotri Dham. The shrine marks the origin of the holy River Ganga. Get blessed in the divine setting and be back to Harsil helipad by 1100 Hrs. Next, leave for Kharsali helipad to visit the sacred shrine of Yamunotri, which takes about 35 minutes. Upon arrival at Kharsali Helipad, check in to the Yamunotri Cottages. After lunch, proceed towards Yamunotri by Palki. The 6 km trek through the scenic landscape of Uttarakhand takes approximately 1 hour. On reaching Yamunotri shrine, pay homage to the River Goddess, who is also the sister of Yama, Lord of Death. Visiting the shrine is said to clean sins and grant salvation. After darshan, head back to Kharsali by evening. Upon your arrival back to cottages, have refreshments, followed by dinner & overnight stay in Yamunotri. Start the day with an early breakfast. After you are done, leave Kharsali for Kedarnath. As per as Government regulations, you will have to change helicopter at Guptkashi. Board another aircraft for Kedarnath, approximately a 35 min. flight. Arrive to the holy Kedarnath temple by 0800 AM. The temple is situated at a distance of approximately 400 m from the helipad. One of the sacred 12 Jyotirlingas of Lord Shiva, the temple is said to purify sins and attain moksha. Special darshan slips are booked for your quick darshan. After you are done with your prayers, you will be brought back to Guptkashi. Leave for Badrinath by 10 AM. 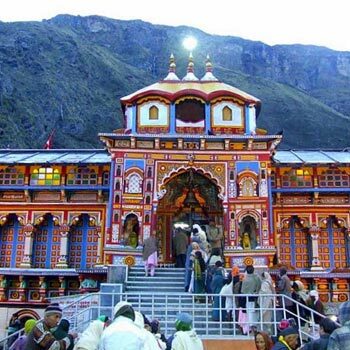 On your arrival proceed to the Badrinath Temple for darshan. 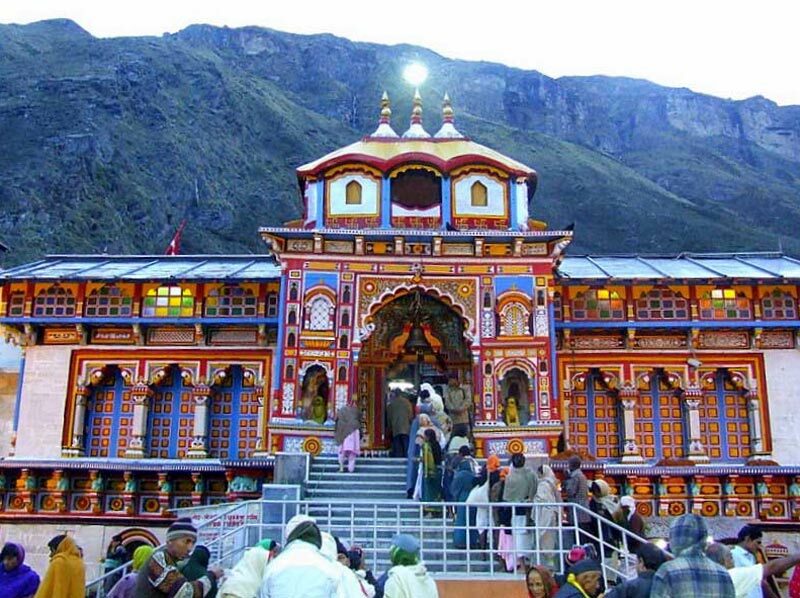 One of the 108 divya desams of Lord Vishnu, Badrinath temple is the shrine of Lord Badri, a form of Lord Vishnu. After darshan, transfer to helipad to board helicopter between 1 & 2 PM for Sahastradhara bringing end to the holy Char Dham Yatra.